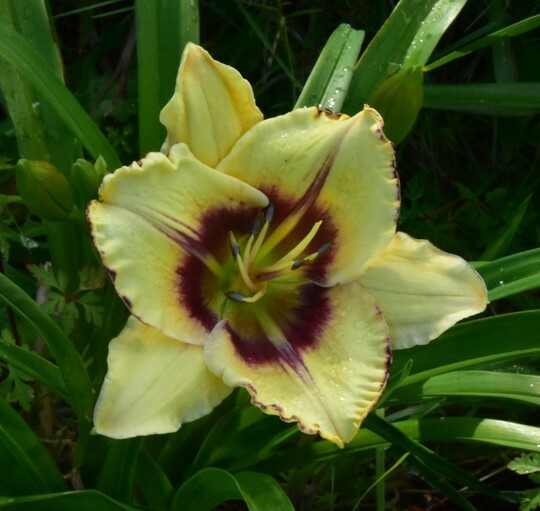 I have hundreds of daylily scapes, and many have started opening. They looked a real mess yesterday in the rain, but today there are some really nice ones. There are several that didn’t open last year, but are off to an early start this year. The pollen parent of its pollen parent is also fully open at 10" across, you can’t miss it. 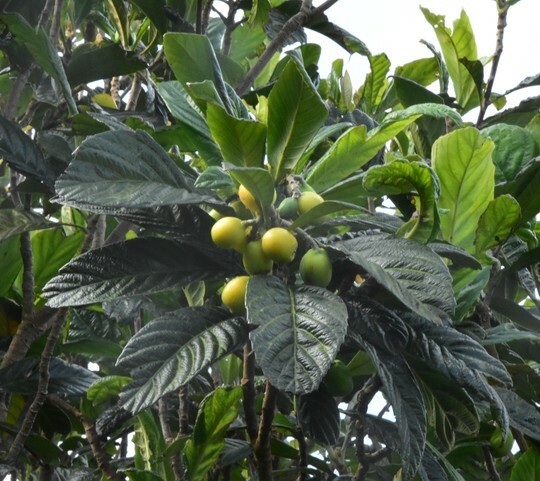 The loquats are nearly ripe. They are really nice to eat as I walk around to see what is open. Then there is something I either haven’t seen before or really didn’t pay attention to: the seeds of the Bird of Paradise. 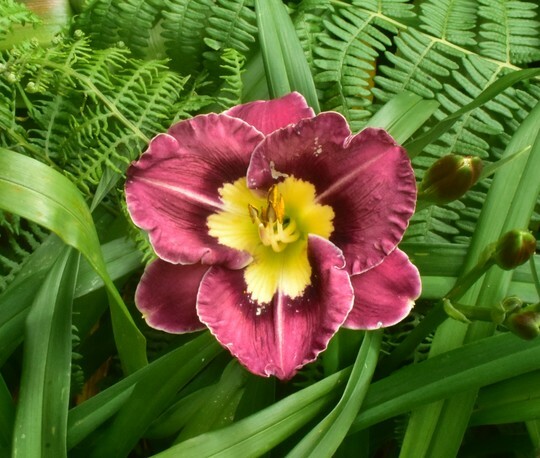 While I don’t need more of the plants, the free seeds I will get from this means I can practice germinating them – they are really hard to get to germinate, and if I can get it right, I would be able to try starting bananas. stunning as usual wylie. they are beautiful. good luck with your germination experiments. 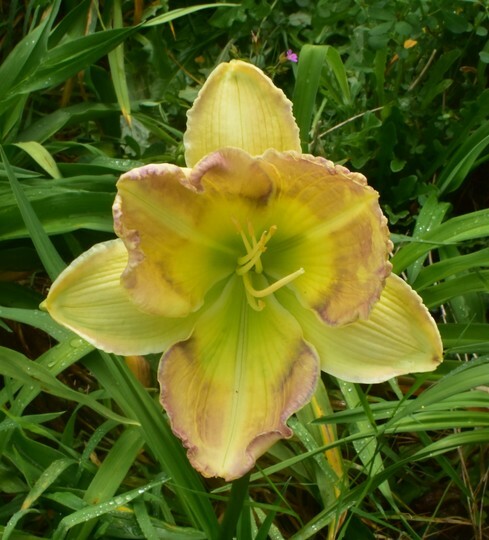 Like your lost parentage Daylily. Go bananas with your propagation, Wylie!! 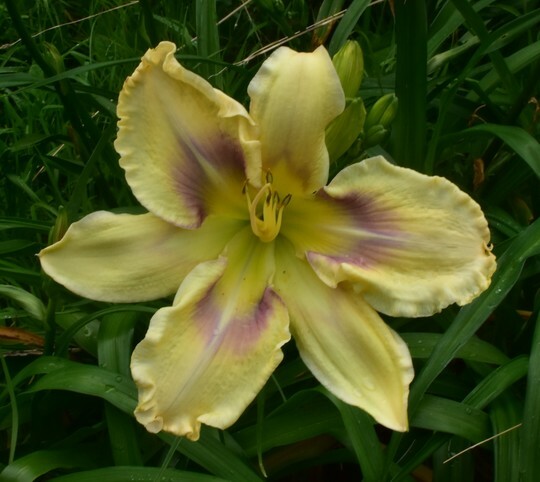 Your day lily's are gorgeous I hope you soon get to enjoy your loquats they sound very tasty. I hope you manage to achieve the germinating and succeed with the bananas.. The bananas and strelitzia are closely related, and I have tried several times to germinate the seeds, but only succeeded once when I got a Strelitzia Nicolai. Growing the plant is easy - seed germination is very difficult. Loquats are nicely acidic, but they have a very short shelf life and I have to fight the birds for them. They also set fruit in the fall and grow all winter, so not practical in cold climates. Have you thought of throwing a net curtain over your Loquats to prevent the birds having them that what we do here on our fruit or netting. Yes I can imagine they are very difficult to germinate. I could be mistaken but did Star of India appear around 1957? I seem to recall seeing its cost in a catalogue then. 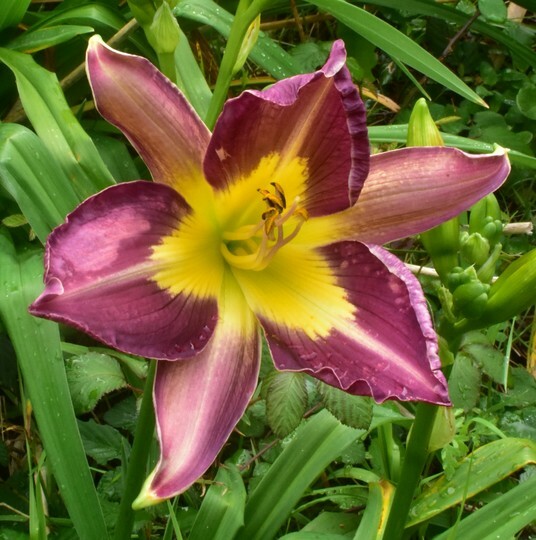 A beautiful lily. The Star of India is a nice one, I have it planted next to 'Life is a Highway'. It was registered by P. Roberts in 1992. I haven't regularly pruned the loquat trees, so they have grown fairly tall. I need to get them lower so I can reach the fruit, which can be impossible even with a ladder. I have thought of using weighted soda bottles attached to the limbs to get them to grow down and out. 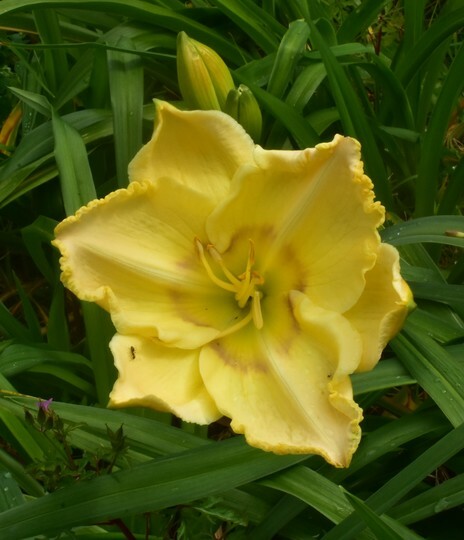 Some beautiful daylilies there Wylie. I've only got leaves at the moment. If it's any help I started Strelitzia seeds (bought from New Zealand on e bay) in a tub of damp vermiculite on a radiator. (It was January). I had a success rate of about 75%. For me it's the growing that's the hard part. I don't think they like this dark Victorian cottage, not enough light. The only one I have left is a Nicolae with six leaves. Five about five feet high and one new one growing out at the moment. I gave a friend a couple and in her conservatory they're thriving. I've never thought about bananas. 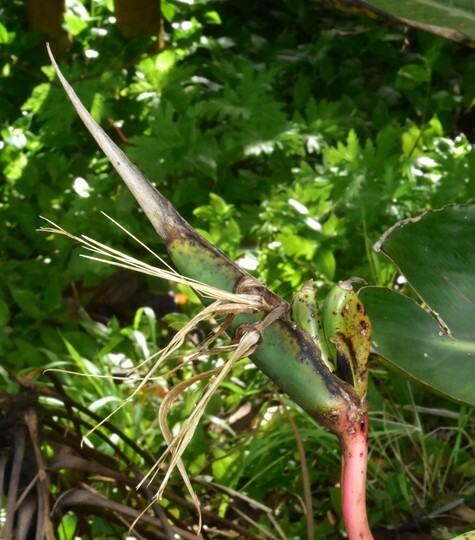 Everyone around here has a couple of Strelitzia reginae plants, but the S. Nicolai is rare. Mine has grown to around 20-25' tall and that wide. 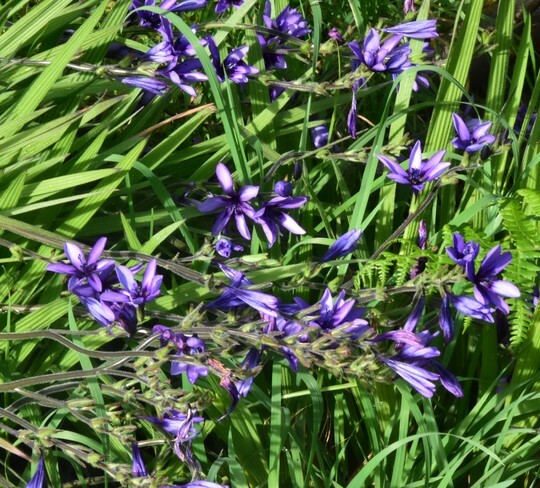 I almost need binoculars to see the flowers. It is in the ground, and it has proven to be impossible to get a side shoot free - the roots are so deep. It will never be moved, but thrives without any attention.